Set in Rio de Janeiro in 1886, this internationally acclaimed literary thriller opens with the theft of a priceless Stradivarius violin that has been presented by Dom Pedro, emperor of Brazil, to his favorite mistress. At the same time a hideously inventive killer is prowling the boulevards and back alleys of Rio, leaving a violin string entangled in the intimate parts of his beautiful victims. Only one man possesses the genius, the valor, and the discretion that both cases demand: Sherlock Holmes. 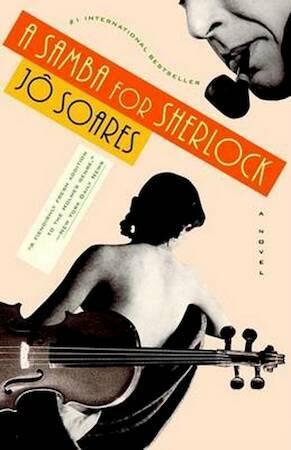 In this witty, charming, and highly original novel, the Brazilian author Jô Soares boldly reimagines Conan Doyle's legendary sleuth, introducing a very distracted and debauched Sherlock Holmes, one who trades cocaine for "Indian cigarettes" and falls head over heels for a sultry actress. Overflowing with suspense and historical erudition, A Samba for Sherlock is a novel that combines the authenticity of The Alienist with the exuberant fantasy of carnaval. "Written with irresistible humor and remarkable control." "One of the most charming and entertaining books of the year."